Is your Twitter profile customized? If you use Twitter to market your company (and you probably should), what does your profile page look like? Do you have a unique background, or are you using a default supplied by Twitter? Do you have an icon that is easily recognizable as your brand? If the answer to both of these questions is a resounding "YES!" then you get a high five for customizing Twitter to fit your company. People who do visit your Twitter profile to find out more about your company are looking for any clues as to who you are and what you can do for them. Creating your own background is a great way to show who you are using your colors, some brief text, and your logo. With the latest layout Twitter rolled out, there is less space to fill up with this info without it getting hidden behind your timeline. Make sure you're aware of this when designing. Customization helps you stand out. If you have a plain color background, you're not going to stand out as much as a competitor who made some fancy looking one. It's important to do everything in your power to stand out against the competition, so making sure you've customized your profile to the max is a great way to do this. When you take the time to design your Twitter profile to mimic the branding on your website, it shows that you care. It's a good idea to always use consistent branding in all your online presences. For Twitter, this includes your icon, which would probably be your logo or icon from your logo, and colors that match your brand. 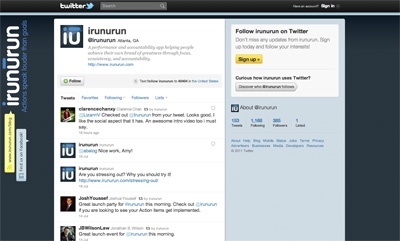 Finally, a good reason to customize your Twitter profile background is to show you're more than just another company. It allows you to put details or designs in that you can't put elsewhere on your profile. Make the best use of the space to let your true self shine! If you know that most of your customers are viewing Twitter on mobile, full customization might not be as important, because you don't see things like the background on mobile Twitter apps. You can still make sure your identity is shown through your icon, though, so make sure it's a good one! So, how customized is your Twitter profile? Do you have any other ideas for how to make your profile the best it can be?